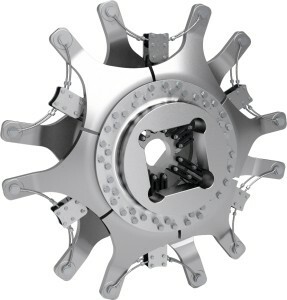 The basic coupling of the “modular link coupling” type comes in several versions and torque increments, with the individual coupling module designed in such a way that it is possible to interconnect several couplings with little effort. This permits the use of the coupling as an individual solution, as a serial connection of several couplings or as a parallel connection of several couplings. 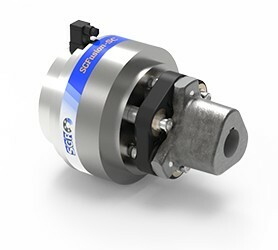 The individual coupling itself can transfer very high torques by being assembled in a double array link coupling and lends itself as an economical solution for many applications due to its simple construction. If particularly low torsion stiffnesses need to be achieved, several couplings can be operated in series. If higher torques are to be transferred with the same outer diameter, several individual couplings can be arranged in parallel connection one after the other.